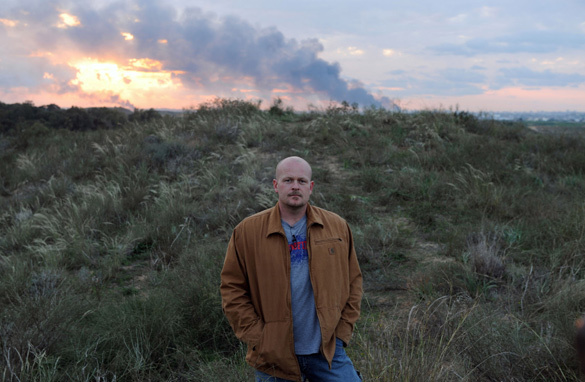 (CNN) – ‘Joe the Plumber’ Wurzelbacher told a group of journalists covering the conflict in Israel and Gaza that he didn’t think the media should be allowed to report on war. In his first day as a reporter, Wurzelbacher described the hardships of daily life in the southern Israeli town of Sderot. He got a first-hand taste of reality in Sderot, when his group heard sirens warning of a rocket attack. With cameras rolling, Wurzelbacher and his group ran into a shelter. That is probably one of the scariest ideas that "media should not be able to report on war" I for one would not choose to have the wool pulled over my eyes and just trust that everything is just dandy over there. Also, why would anyone want "Joe the Plumber" to go and be a correspondant. He made all sorts of comments favoring Israel and being against Palestine. Do we really think that this guy is going to be capable of giving an unbiased report of what's going on over there? Anybody can sift through information and pick out only what relates to your argument. It takes a real journalist to look at both sides and give a fair account of what is happening. Joe, you're a bald-headed fool.... and a hypocrite at that. You want journalists banned from reporting the war. that you're REPORTING ON THE WAR? If you believe that, why didn't you ban yourself, refuse the money and the attention, and go the hell home? Read my lips: G O A W A Y.
I agree with Joe–more than 10,000 Rockets have been fired from Hamas Terrorists. Why didn't Israel act sooner? Half the reason is probably the international media supporting the "underdog" Hamas terrorists who receive hundreds of millions of Dollars from Iran every year. We would never tolerate these missiles landing here in America. Did I miss something Joe? Like why are you standing out there in that field? Aren't you a part of the media now? Please go back to Sis. Sarah and get some more mentoring. On second thought, I ban you! OMG...can he and Palin just go away!! I mean seriously the 15 minutes of fame is over!!! JEEZ!!! Joe: if you're going to play journalist, learn something about the job, OK? Reporting the NEWS is the specific responsibility of journalists. News isn't always pretty. Journalists are supposed to tell us about it – period. Since you obviously have no clue what you're doing there, other than trying to extend your 15 minutes of fame – please get out. Now. BUSH BEGONE AND NOW 75% OF AMERICA AGREES, FINALLY! Yes, ban the media from this war and let it begin with me! Ban journalist? Then what the hell is he doing there if not playing wannbe journalist? Joe should just shut his mouth and pay his child support. Usually, I would suggest Joe dip his tongue in his brain before speaking. Unfortunately, I think he did. Which is sad since this man was selected by a conservative website to conceivably represent the "average American." Which, if that's true, begs the question: Can Humans survive another 100 years on this planet?